And how will this service help your business grow? Most often, it is a set of linked servers which accelerate giving the data (photo, video, scripts) back to the user. CDN servers are placed as close as possible to the end audience. CDN takes popular content to cache servers where it is accumulated, temporarily stored (cached) and given at future requests. 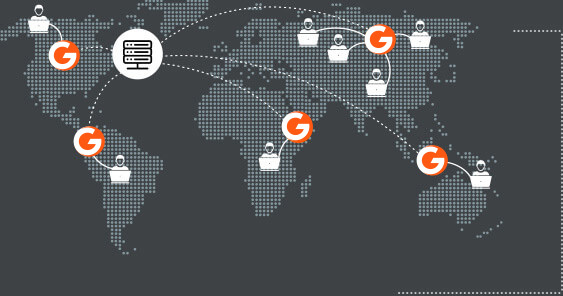 Why does online business need a CDN? Placing servers closer to users allows to reduce the number of hops, latency and server response time. Thus, the content becomes locally available to end-clients and that improves their user experience and converts visitors into paying customers. CDN allows to restrict access to content and protect it from unwanted downloads. Moving content to CDN servers reduces the load on origin servers. CDN servers back each other up, and in the event of an accident the traffic is automatically routed to other servers of the network. What benefit will a CDN bring to your business? If the content of interest is available without delays, quickly loaded and does not annoy with buffering, the user will stay on the website, in the online store, in the game or on the entertainment portal longer. A quality user experience will turn your visitors into satisfied customers who are more likely to pay for content and come back to your resources again. Reducing the load on servers and ensuring high reliability of a CDN can help lower the requirements in terms of performance and the number of servers and internet channels used — in fact, you will have to pay only for the resources actually consumed by a third-party provider. Savings on CDN traffic allow you to reduce costs significantly. Transferring files to another continent once, keeping them on a local server there and distributing over local links will be cheaper than sending the same traffic across the Atlantic for the thousandth time. In case of a particularly limited bandwidth transferring static files to a CDN is cheaper than upgrading network equipment. Usually statics occupies a significant portion of the available bandwidth, and instead of upgrading from 1 to 10 Gbps or from 10 to 40 Gbps it is cheaper to send 80 % of traffic to a CDN with no need to invest in expensive servers. CDN takes creating and supporting your own distributed system of web servers with an experienced operational service team off the table. 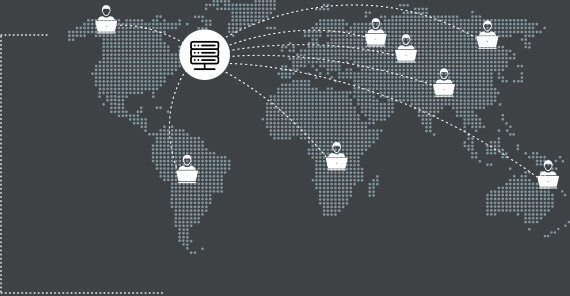 By using CDN you can quickly scale and develop your web projects abroad. Which business can’t do without CDN? Internet traffic is growing worldwide. Therefore, all popular content providers and web projects with a large geographically distributed audience either build their own CDNs (which is expensive) or choose a third-party service (which is more profitable). Moreover, different businesses use CDN for different reasons. What to look for in the first place when choosing a CDN provider? Traffic peak during a surge of interest in the resource of one of the clients. When choosing a provider, pay attention to its presence in the region where your clients are mainly located. Modern CDN service must provide support for a range of necessary protocols, cache settings and content protection parameters. Access to the API is required for comfortable integration of CDN with your system. High-quality real-time statistics is critical for analysis, decision making and business management. Ease of service should be provided by competent and helpful people who are available 24/7.